Hello Everyone, welcome back to Day 3 Wplus9 June 2015 Release Previews. 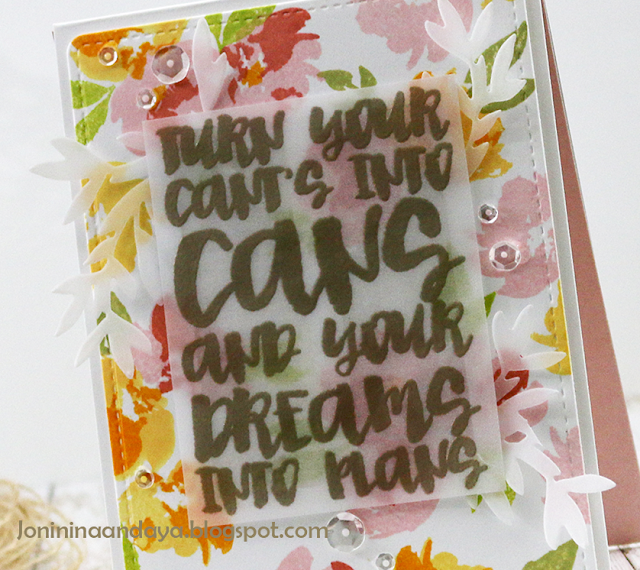 Today I am showcasing the gorgeous Watercolored Anemones and Dreams Into Plans stamp sets. For my first project I cut a panel of white cardstock die-cut it using the Love Mom Layers dies and stamped the gorgeous flowers of Watercolored Anemones. Next I heat embossed the Dreams Into Plans using a Champagne embossing powder on a vellum, cut to size and adhered it with a foam tape. To finish of the card I add the vellum die-cut from leaves from Foliage Frame and added some Pretty Pink Posh Sparkling Clear sequins to finish off the card. For my second card I adhered a woodgrain patterned paper on my A2 cardstock. Next, I stamped the Dreams Into Plans stamp set on a white cardstock in the New Wplus9 Black Ink. Next, I adhere the vellum and the twine. I added the Watercolored Anemones on the front panel that I fussy cut, but the flowers were die-cut using its coordinating dies. I added some Sparkling Clear sequins from Pretty Pink Posh to finish of the card. So pretty I love that way you used the new stamp sets. 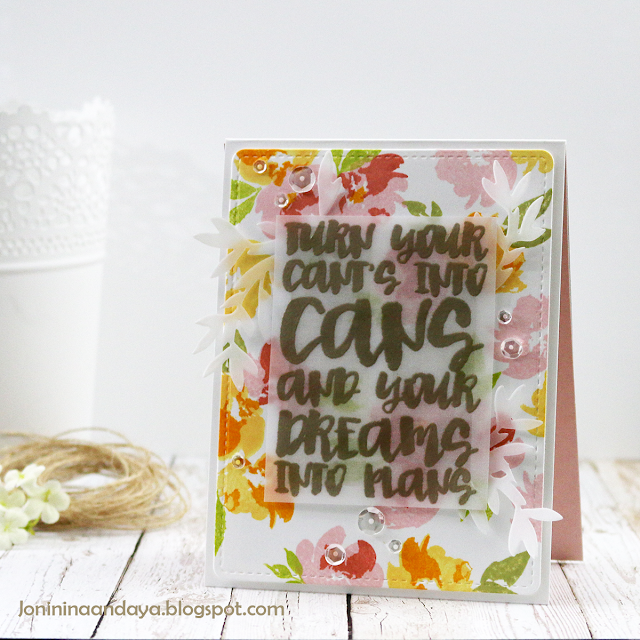 Wonderful cards, your first background is so colorful and on the second your focal point is the pretty color! Fabulous! 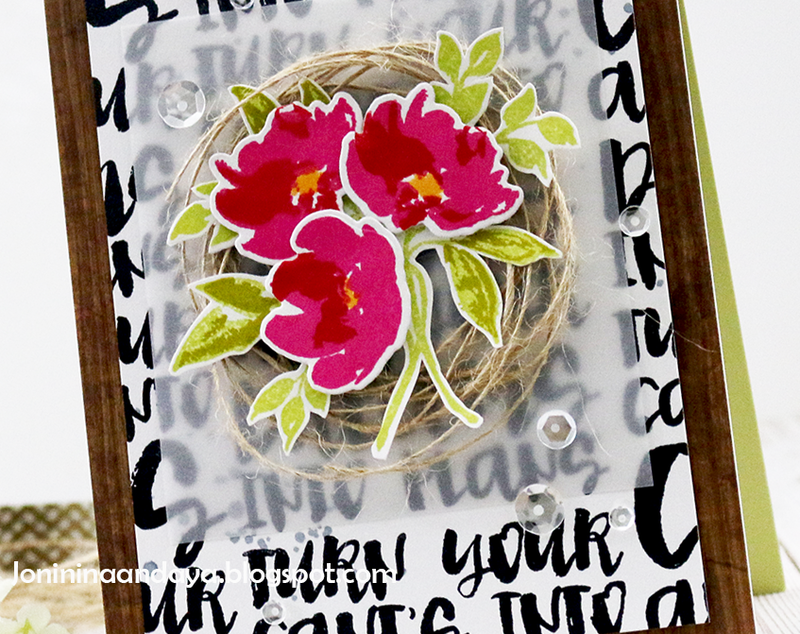 Love how you used the sentiment both as a background and a focal image, and the flowers on your cards are GORGEOUS! You're such an amazing talent. Dawn's so lucky to have you. The card with black words as a base for the red Anemones is STUNNING! Beautiful cards made! So loving all the new products! Thanks for the Inspirarions! There they are!!! Oh Joni, I knew you'd do gorgeous things with them!!! On my list! Gorgeous! LOVING the colors and the sentiment on the first one!!!!! Both are so pretty Joni! gorgeous! Love the bright colors so much! Oh I love the watercolored Anemones! 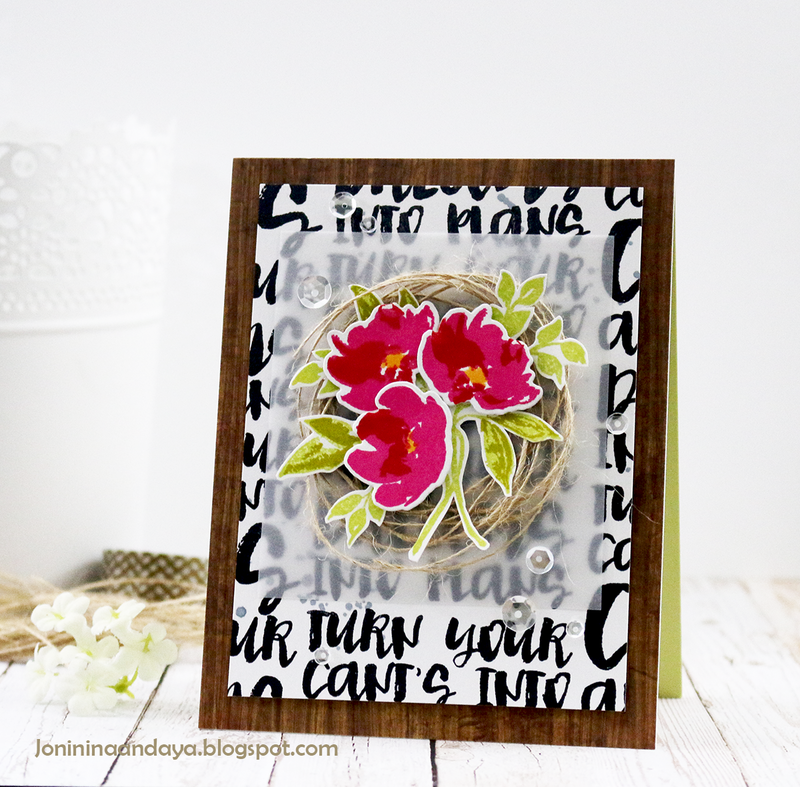 These cards are just beautiful Joni! Great job! Such a gorgeous floral background on that first card!